Petruchio caught this large catfish at the north end of the cove. 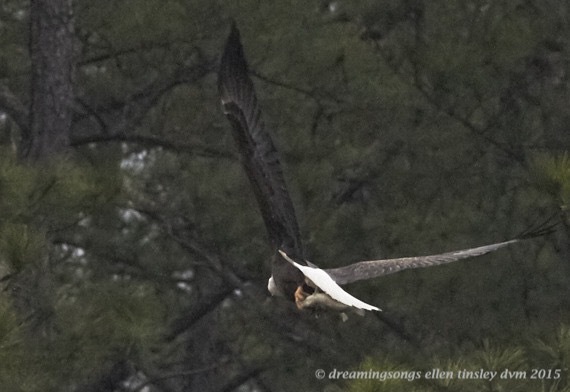 He is headed for the nest and the chicks. Posted in eagle parents of New Hope, Eagles of Jordan Lake, Jordan Lake, photography, raptors, wild birds and tagged as American bald eagle, bald eagle, bald eagle chick, bald eagle feeding, bald eagle flight, bald eagles of Jordan Lake, eagle, eagles of Jordan Lake, flight, Jordan Lake, raptor.